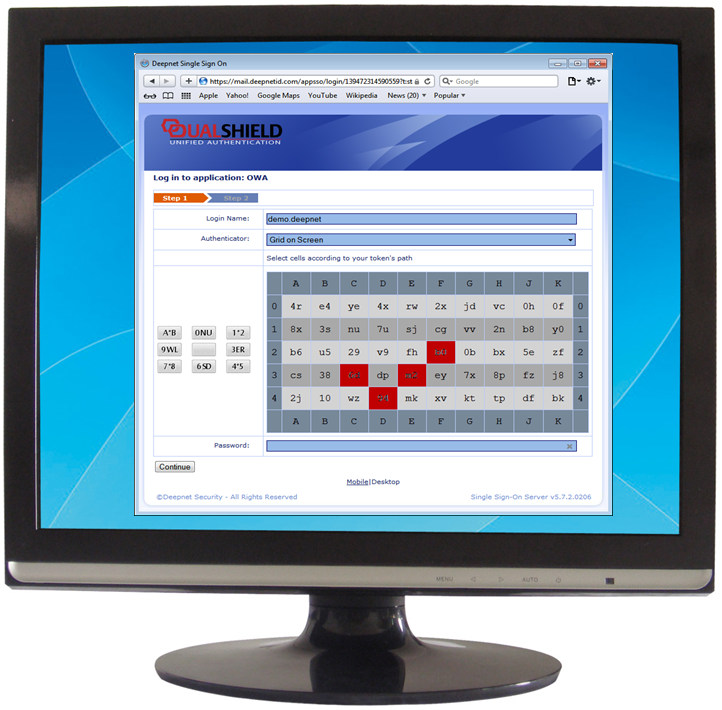 GridGo displays a security grid of random numbers on the user’s logon screen. At each logon, GridGo generates a different set of random numbers. Users generate a one-time password by randomly selecting a start point in the grid and navigate in the grid on a secret path that is only known to the users. The secret navigation path is encoded and easily memorized as a PIN or password. GridGo is protected by the user's PIN or password. Users can only generate valid one-time passwords with the correct PIN/Password. GridGo does not require users to install any software onto their PCs, therefore saves business customers the cost of administration, user education and technical support. GridGo does not require any hardware deployment, making it a cost-effective solution.